California French-inspired restaurant in the heart of downtown! 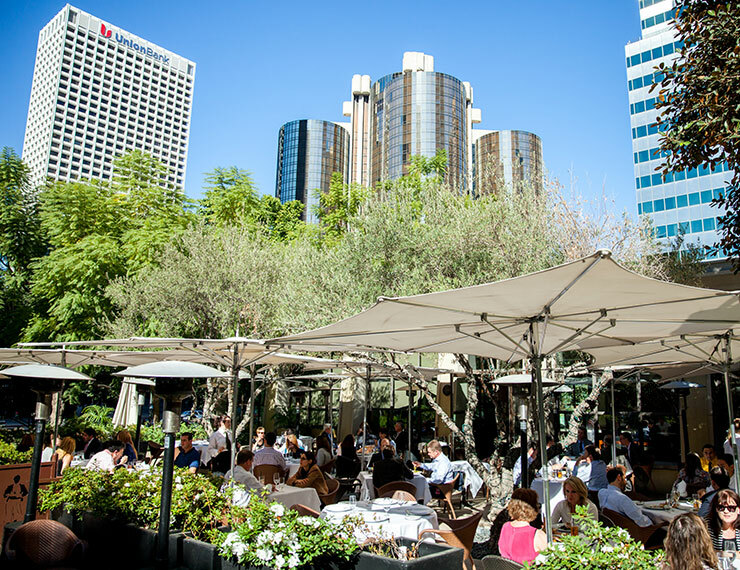 Voted the “most romantic patio downtown” by LA Weekly, Café Pinot is a California French-inspired restaurant located adjacent to the historic LA Central Library and beautiful Maguire Gardens. Executive Chef Phillip Martin sources the freshest ingredients to create a garden dining experience like no other, highlighting seasonal specialties and housemade pastas, as well as classics like Rotisserie Jidori Chicken. Visit for lunch, dinner or happy hour on the patio. Café Pinot also provides an idyllic setting for private events from social get-togethers to weddings and conventions.